Last week we finally got to see an official photo of the new Google Nexus 5, the handset appeared on the Google Play Store briefly, on the weekend we also got to see the retail packaging of the Google Nexus 5. There are a number of rumors on when the Google Nexus 5 will launch, a number of online retailers are showing accessories for the handset with a launch date of the 30th of October, and we have also heard that the 31st of October is a possible launch date. Google have been hinting at a launch date of the device of some time between the 21st of October (today) and the 28th of October, we suspect that the handset will be somewhere announced in this time frame. We are expecting the Google Nexus 5 to go up for pre-order some time between the 21st and 28th of October, and then go on sale on either the 30th or 31st of October. The Nexus 5 is rumored to come with a 5 inch full high definition display that will feature a resolution of 1920 x 1080 pixels, the handset is expected to feature Qualcomm’s new quad core Snapdragon 800 processor and 2GB of RAM. Other rumored specifications on the Google Nexus 5 include a choice of 16GB or 32GB of built in storage, plus an advanced 8 megapixel camera that will come with optical image stabilization. 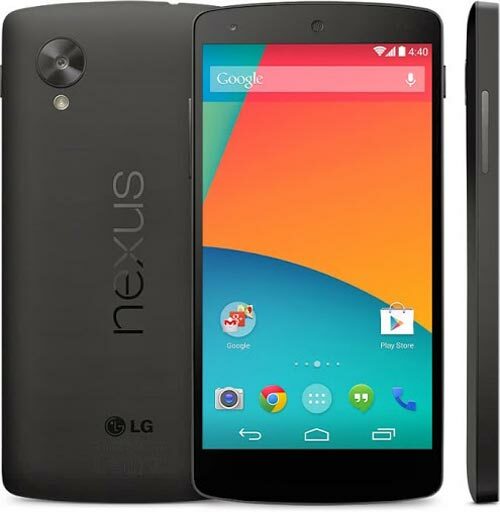 The Google Nexus 5 will be the first android smartphone to launch with the latest version of android,Android 4.4 Kit Kat, the handset will retail for $349 for the 16GB model, there are no details on the pricing of the 32GB model as yet.